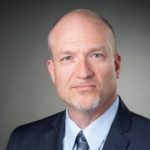 Mr. Barranco has extensive experience running multiple technical and operational departments globally servicing tier-one customers in mission-critical environments and currently holds the role of Senior Director of Security Operations at Akamai Technologies. In his current role, Mr. Barranco is responsible for Akamai’s global Managed Security services where alert management and precision cyber-attack mitigation at all layers is this globally distributed team’s primary function. Pre Akamai’s acquisition of Prolexic, Roger held the role of VP of Service Delivery. Before joining Prolexic, he was the CTO and Vice President of Operations for Host.net and ran his own company, Computer Processing Technologies, an electronic medical claim processing service. Mr. Barranco also holds a patent for disparate cloud access methodologies.